A sales cycle is a step-by-step process of closing a business deal. Although the exact process will vary from business to business, the basic steps are generally the same. 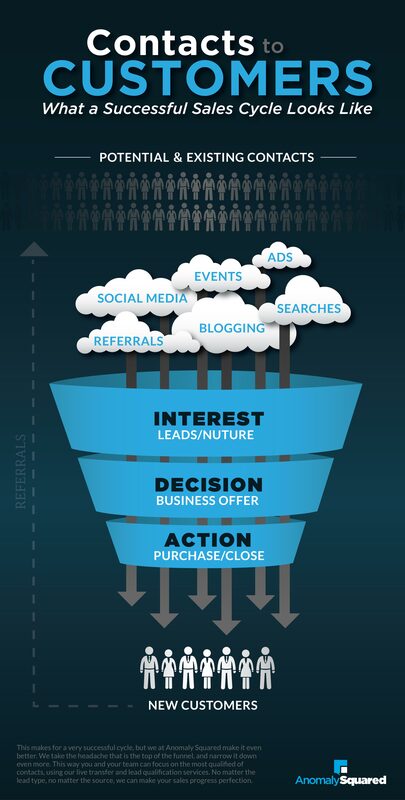 Lead generation is an important part of the sales cycle. Why do you need a sales cycle? A sales cycle gives you a template for what actions and language you should be using for each point of the sale. This ensures that you are getting the right message, in front of the right lead, at the right time. Going straight to pushing someone to a sale, when they are only just finding out about your company - and you may lose the sale. Same goes for if you reach out to them too late. Having an effective sales cycle in place makes sure that you are moving at a pace that your potential client is ready for. What does an example sales cycle look like?